You are here: Home ∼ 2013 ∼ May ∼ Conor. Mountain. France. Here’s the latest shot to grace the walls of the DragonDrop Adventure Club. It’s in The French Alps – surprisingly, (with approaching 100 shirt shots from around the world) France has never been featured before. 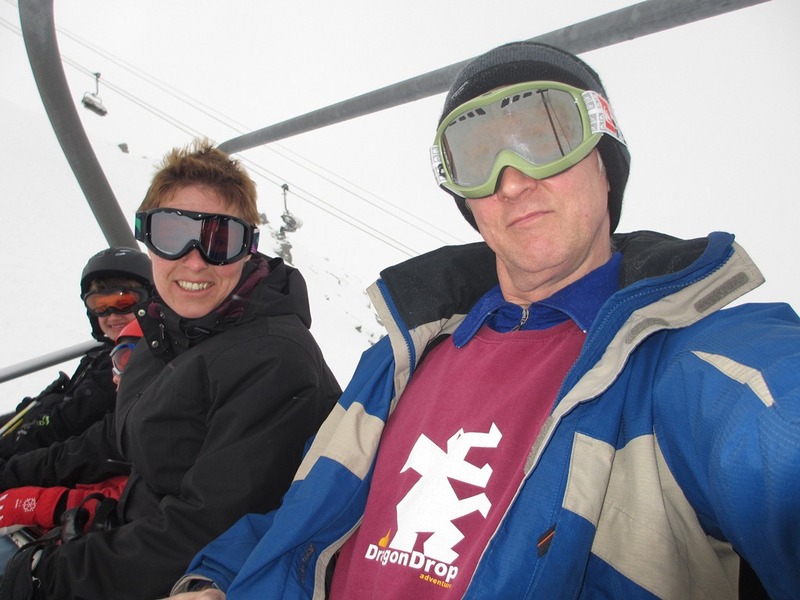 Pictured in a most marvelous tee, we see Conor (and Tracey and Luke) riding a chairlift up to the top of a mountain in Les Menuires – part of the 3 Valleys network including Val Thorens, Meribel and Courchevel. Reportedly, it was great snow and great skiing – Tracey took Cononr on lots of black runs and he’s still here to tell the tale!